WATERTRAK™ Softeners are available in wide range of sizes, materials of construction, and configurations to meet all of your softening needs. They can be ordered either as a stand-alone unit or integrated into the most complex of control systems. Base unit includes Brine Ejector System for regeneration. 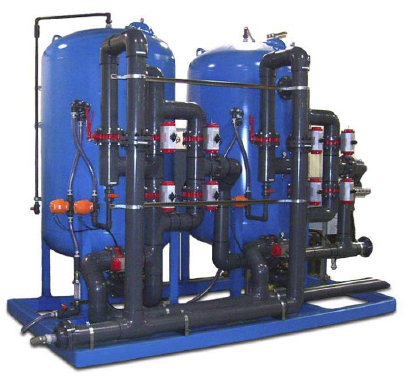 Optional Brine Maker and Common Regen System can be offered for multiple or large size softener units.